Global refers to calculation that are made over the whole data set whereas local refers to calculations that are made local to a point or a partition. In high dimension, it's really difficult to stay local. 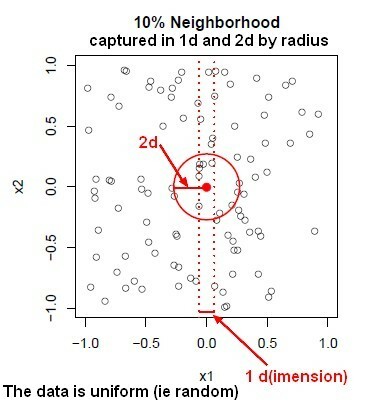 To resolved this problem, (structured|parametrized) model have been introduced. The simplest one is the linear model. 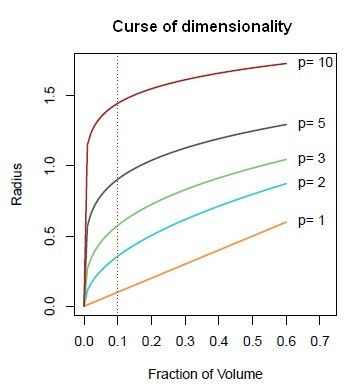 interactive app in R Shiny on the Curse of Dimensionality.